Oro Blanco grapefruit is a hybrid between an acidless Pummelo and a White grapefruit. The Oro Blanco has a thick outer rind, which ranges from a light yellow that also has light green strokes around the skin. The inner flesh of the Oro Blanco is very juicy, has a translucent yellow inner flesh and is nearly acidless. 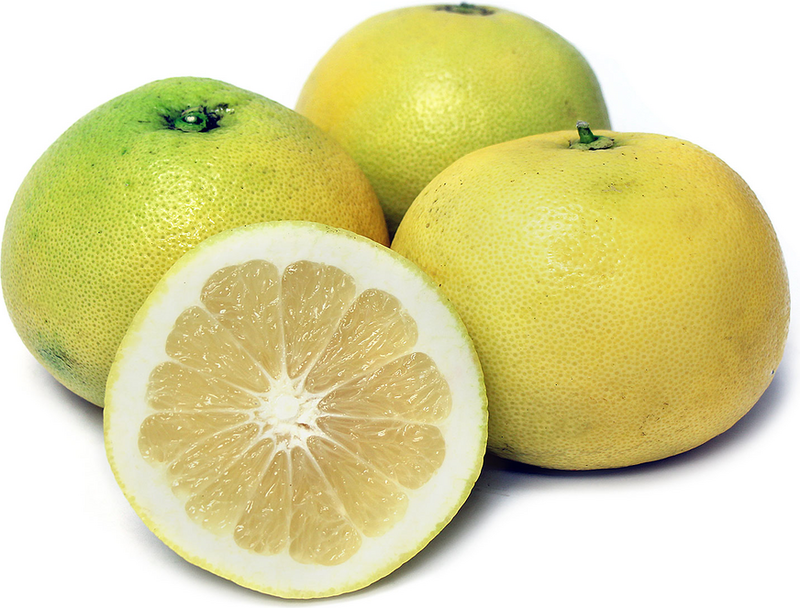 The Oro Blanco is seedless and offers a mild sweet citrus flavor. Oro Blanco grapefruits are available in the late winter early spring.